April, 18, 2011, Los Angeles – The price of gold gained 0.83 percent to close at a new all-time high of $1,486.50 an ounce last week on continued unrest in the Middle East and North Africa. The price of silver gained 5.09 percent to close at a 31 year high of $42.98 an ounce for the week as the Gold/Silver ratio dropped to 34.59, its lowest level in 28 years, and silver continued to narrow the price gap with sold. Colonel Muammar Gaddafi accepted the African Union’s plan for ending the Libyan conflict which included an immediate ceasefire, and international humanitarian aid, the AU said on Monday. The NATO backed Libyan rebels in Benghazi, however, rejected the African Union’s proposal and refused to honor any peace agreement that failed to provide for the ouster of Gaddafi. 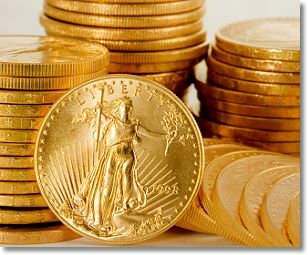 According to GFMS, the precious metals research firm, the price of gold will exceed $1,600 an ounce in 2011. “The prospects for gold prices this year remain bright. Investors continue to be concerned about the outlook for inflation, with governments in general showing little appetite to tighten monetary policy significantly,” Philip Klapwijk, GFMS chairman said in a statement. In addition, considering the current shape of government finances, investors should continue to focus on the gold market, said Klapwijk. Treasury Secretary Tim Geithner estimates that the debt ceiling will be reached by May 16, and has urged Congress to act before that time to lift the debt limit because, “default by the United States is unthinkable.” President Barack Obama declared on Friday that failure by Congress to raise the debt limit “could plunge the world economy back into recession.” Obama then acknowledged that to avoid such a crisis, he would compromise on spending with Republicans who control the House. “We always have. We will do it again,” said Obama, who voted against raising the debt limit as a freshman senator from Illinois.